Stopped by Colectivo at 68th and Wells Streets today to pick up a latte and some of their fabulous Hot Cocoa Mix for home. (Truly, their cocoa is the BEST! And they don’t pay me for this endorsement😄) I was lucky to get a parking spot right across the street on Wells and noticed this Little Free Library box outside the Samson & Delilah Salon. Isn’t it clever, the way the box mimics the architecture of its parent storefront? And speaking of Little Free Libraries, it has been a while since I posted one of these photos. 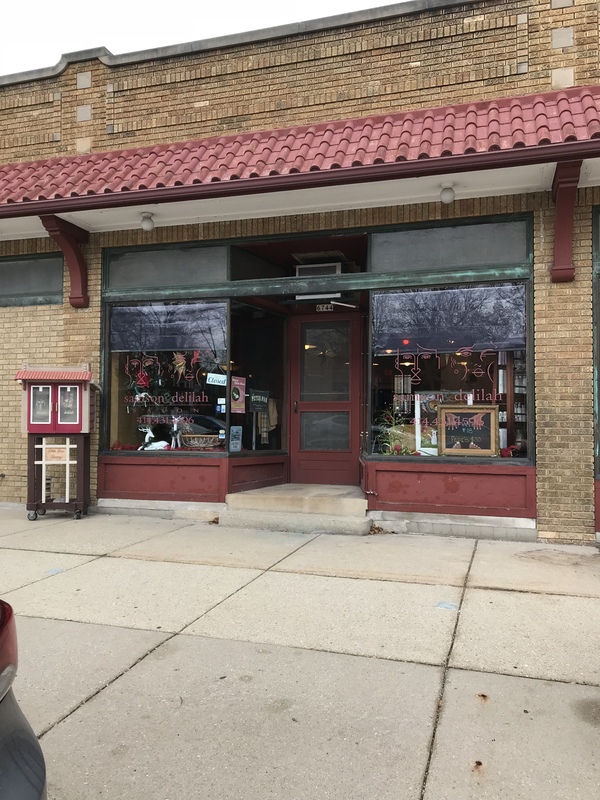 (Obviously, as this post is #10, there are nine others I’ve written about so far😄) Either I’m not noticing as many of them lately, or they’re not springing up as frequently as they once did. Anyway, a few weeks ago I saw that Todd Bol (the Hudson, Wisconsin, man who founded the movement in memory of his mother) had died. What a rich legacy he left behind for the world! 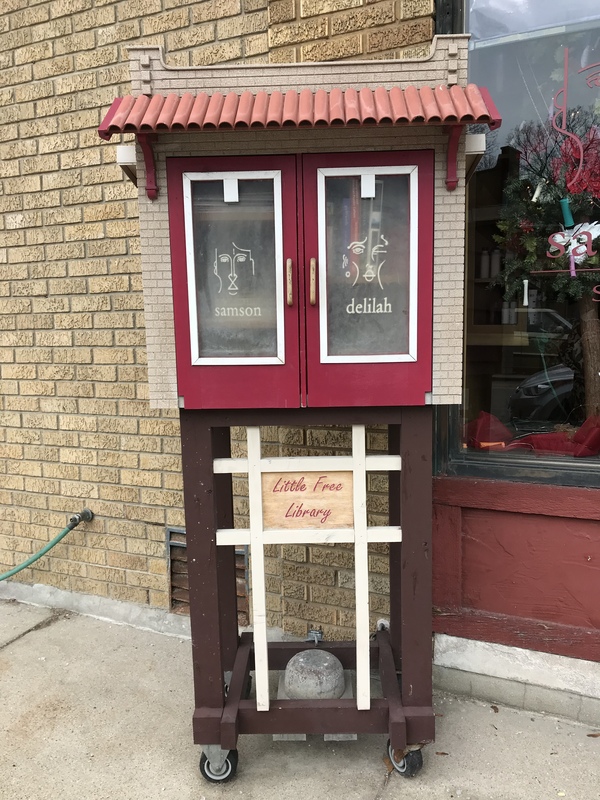 This entry was posted in architecture, Art, Books and reading, Creativity, Life, Little Free Library, Milwaukee, Photography and tagged Little Free Library, Milwaukee, Samson & Delilah Salon Wauwatosa, Wauwatosa. Bookmark the permalink.